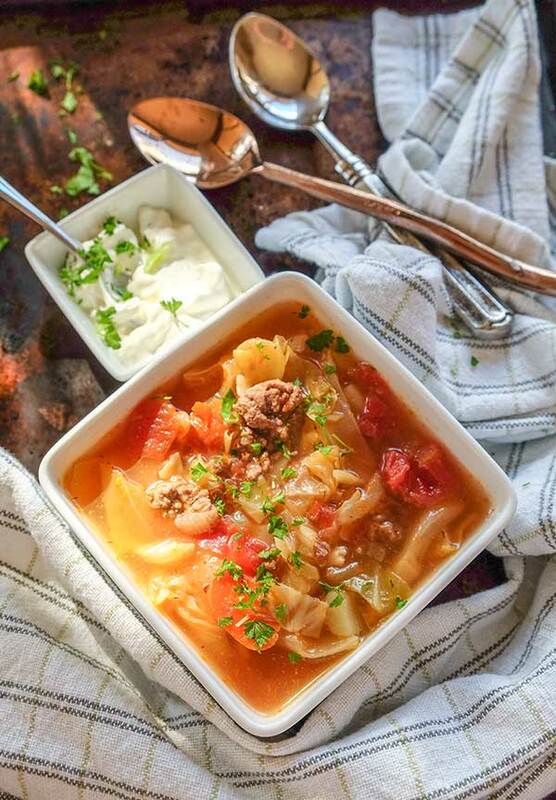 These days all I think about is earthy soups, something warm and cozy such as this Russian cabbage and beef soup. Growing up in eastern Europe, this soup was a staple in our home with gluten-free rye bread. When it comes to healthier soups, this is definitely on top of my list. Why you ask? 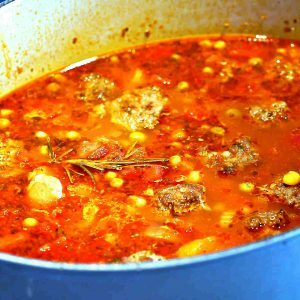 The soup is packed with cabbage, tomatoes, root vegetables and extra-lean beef. 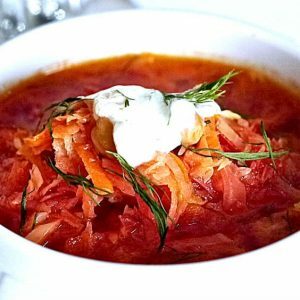 Have you heard of the cabbage soup for weight loss? Well, this is one version of it. The soup is packed with fiber, vitamin C and for added flavour lean beef. 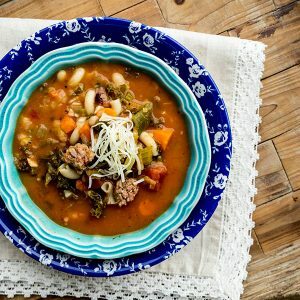 I consider this naturally gluten-free soup, low calorie, low fat and low in net carbs, so definitely a soup for weight loss. To add some creaminess to this soup add yogurt or low-fat sour cream and fresh dill or parsley.